From left to right, Sabarish RC, Dr. Adith Chinnaswami, and Jeno Manickam of MediSim VR. 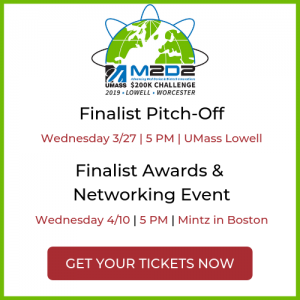 MediSim VR, one of 21 MedTech startup finalists in the 8th annual M2D2 $200K Challenge, was chosen to compete for their development of a Haptic enabled VR (virtual reality) surgery simulator. Co-founder, Dr. Adith Chinnaswami, offers an exclusive inside look about this team’s innovation, background, and future plans. What was the genesis or inspiration for your idea? I, Dr. Adith Chinnaswami, undertook a laparoscopy-training course at one of the most reputed centers in India. A few amongst us were trained Minimal Access surgeons, however, a number of them were complete novices who looked to this as an introductory course. On the last two days of this month-long course, we were given anesthetized pigs to operate on (which were to be euthanized following the operations). When I looked around at the number of catastrophic mistakes being made and realized that we would all be receiving diplomas irrespective of our competence, I knew that the situation had to change. We could not risk lives owing to lack of training facilities. I immediately started looking out for the right co-founders with the expertise in the field to research alongside myself to build a low-cost surgical simulator that would suit the Indian market. What are the most significant barriers you’ve faced and overcome? An important task in our development process is to understand the properties and characteristics of the necessary organs. We had to ensure that our library consisted of organs that could replicate real-life behavior. We also had to ensure that our team understood each and every procedure to the last detail, which aids in recreation. For this, we needed extensive support from hospitals and medical institutions. This is where we initially faced a significant barrier. It was difficult to sell the concept of a VR simulator, and as a result, it was quite hard to associate with any institution to get the valuable data we required. Subsequently, we developed a POC to demonstrate the effect on VR learning and the importance of VR simulators in surgery. This helped us sell the idea, and we were able to open up several avenues where we could partner to gather data. Can you share a “Eureka!” moment—a breakthrough in the development of your idea? Perfecting the soft body simulation in the VR environment is by far the most important breakthrough we have achieved. Irrespective of how well-made and immersive our simulation is, the sense of realism is lost the moment an organ behaves abnormally on interaction. We had to ensure that every HVO (haptic virtual object), in this case, organs, reacted as realistically as possible upon interaction. To achieve this we had to acquire an intricate understanding of the organs and build a foolproof algorithm to mimic the reactions. If you win, what’s next? We would like to establish working partnerships for future technological advancements. We would reach out to the relevant global market players and have a physical presence in the Boston/M2D2 ecosystem. We build affordable VR training experiences for the medical field. We are working on a Haptic-VR surgical simulator that will disrupt the Indian healthcare market. This entry was posted in Uncategorized by MaryAnn Picard. Bookmark the permalink.